Comes with a cable that’s 2 meters long. Gives a fantasy feel to your patio or garden. The ultimate sign of a great craftsman is the amount of detail found in their work. This Buddha fountain is one great example of just how the personal touch of man can spell the difference when it comes water fountains. This piece came right out of the artistry of great craftmen and designers. Having a water flowing in a place of work or in a home provides a calming effect in one’s mood. It also restore one’s physical energy as it relaxes the mind and nerves. It is also a great device to shield you from unnecessary focus to boost your focus and concentration on what you are doing. 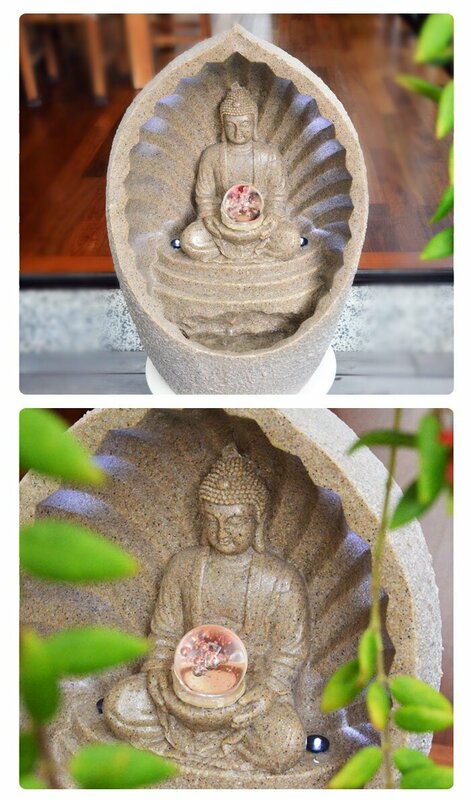 It is the ultimate Buddha fountain if you want to bring prosperity, peace and harmony in your place of business or home.